This article by Elizabeth Pretorius (UNISA) is easily one of the best academic articles I’ve read this year! I would strongly recommend that anyone interested in (1) reading/literacy, (2) the education crisis in SA, or (3) how to get out of the mess we are currently in, should read this article! This paper describes an intervention programme that was originally intended to support transition to English as language of learning and teaching (LoLT) in Grade 4 in a township school, using a pre- and post-test design. 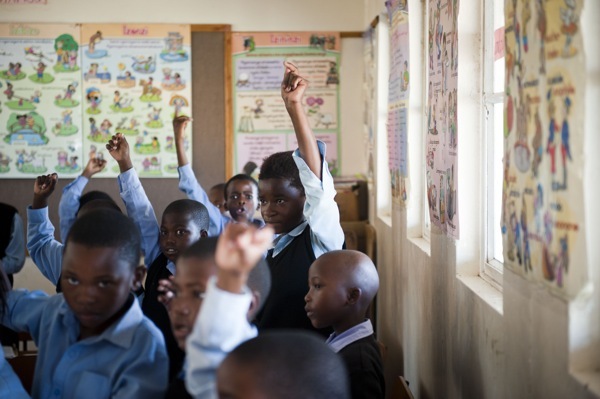 Because the pre-tests revealed very poor literacy levels in both Zulu home language and English, the intervention programme was modified in an attempt to fast-track the learners to literacy levels more appropriate to their grade. This paper outlines the intervention, presents the pre- and post-test results of the English literacy assessments, reflects on the effects of the intervention, and briefly considers some of the reasons for the initial poor literacy performance. Finally, a model for literacy development in high-poverty contexts is proposed to minimise the need to play catch-up in the Intermediate Phase. Concerted efforts in increasing literacy development in children in the Foundation Phase not only will minimise the catch- up effort needed in the Intermediate Phase, but will provide secure literacy foundations for children from school to tertiary and beyond. We, in South Africa, are caught up in a whirlpool effect where poor literacy beginnings evolve into later literacy ill- achievements and further, these become the adults teaching our children, and it starts all over again! We need to break the cycle. Teachers, parents, universities and colleges all need to get involved.